Chief of National byzantine studies commetee of Russian Federation. Editor-in-chief for "Proceedings of the MSU Historical Faculty", "Vizantiyskiy Vremennik", "Black Sea region in the Middle Ages", classical textbook "History of Middle Ages", "Medieval Library". Editorial boards member for "Srednie Veka", "Byzantium Library", "Mir istorii", "Vestnik MSU (History series), "Mesogeios" (Paris), "Bizantinistica" (Bologna-Ravenna), "Il Mar Nero" (Rome-Paris). Memer of the academies of Genova, Alexandria (Italy), Leibnitz society (Germany). tel:+7 (495) 939-35-51, fax: +7 (495) 939-23-90. Number of publications – more that 380. 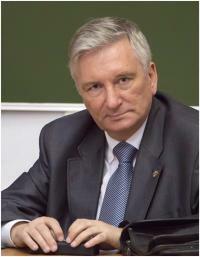 Sergei Karpov. Трапезундская империя и западноевропейские государства, 1204-1461. ("The Empire of Trebizond and the nations of Western Europe, 1204–1461.") Moscow, 1981, 231 pp. L' impero di Trebisonda, Venezia, Genova e Roma, 1204-1461. Rapporti politici, diplomatici e commerciali. Roma, 1986. 321 pp. La Navigazione Veneziana nel Mar Nero XIII-XV sec. Ravenna, 2000. 207 pp. Karpov Sergey Pavlovich // Who’s Who in Russia 2008. Gold Edition. Moscow, 2008. P.293. Море и берега. К 60-летию С. П. Карпова от коллег и учеников: Сборник научных статей / Отв. ред. Р. М. Шукуров. — М.: Индрик, 2009. — 777 с. — ISBN 978-5-91674-028-8.